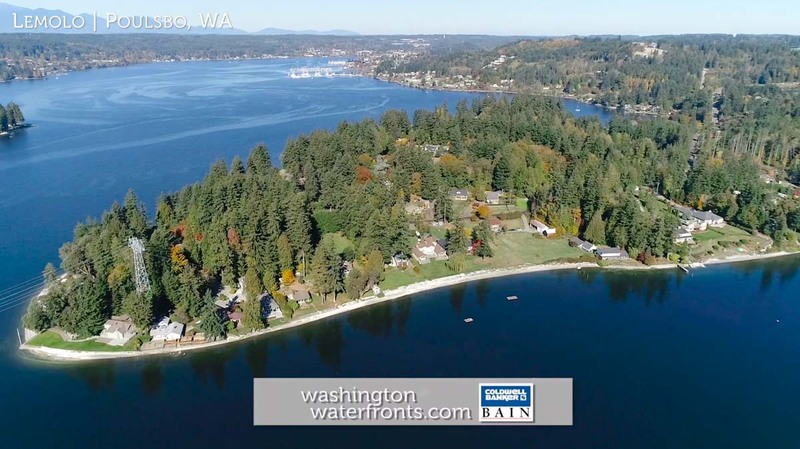 Lemolo is a small community in Kitsap County just south of Poulsbo that overlooks the narrow inlet of Liberty Bay and Keyport which is on the opposite shore. With Lemolo waterfront real estate you’ll enjoy spectacular views of the bay, the boats that glide in and out across the water and the craggy peaks of the Olympics beyond. You’ll also have a wide range of outdoor adventure just steps from your door, from boating, fishing and sailing to paddle boarding, kayaking and jet skiing. If your property doesn’t come with a place to launch your boat, Liberty Bay Marina is less than 5 minutes away and offers a boat launch and moorage. If you don’t have your own boat and want to get out on the water, boat rentals are available too. The city of Poulsbo itself offers a ton of attractions and amenities along with one of the most picturesque waterfronts around. With Lemolo waterfront real estate, you can enjoy easy access to a wide range of shops and eateries, and the famous Scandinavian baker, Sluys Poulsbo Bakery. You’ll be just minutes from Front Street and its many galleries and museums, and on the second Saturday of the month you can enjoy an evening of gallery hopping with galleries opening up new shows and hosting a reception for the featured artist. When you want big city action, the Bainbridge Island ferry to downtown Seattle is less than a 20-minute drive away. The myriad of shops in Silverdale can be reached in under 20 minutes too. With Lemolo waterfront real estate you’ll enjoy the best of both worlds, living on the water surrounded by nature, yet just minutes from the city. Homes range from turn-of-the-century construction waiting for your special touch to upscale, contemporary abodes. No matter which you choose, it’s a great place to enjoy the beauty of the Northwest in your own backyard. Take advantage of our industry-leading tools to make your property search as easy as possible and be sure to register for a FREE account so that you can receive email alerts whenever new Lemolo real estate for sale hits the market. If you’re seeking to sell your Lemolo property, contact our Waterfront Specialists directly for a comprehensive listing analysis and to learn more about the cutting-edge marketing strategies we’ll use to sell your home quickly for top dollar!